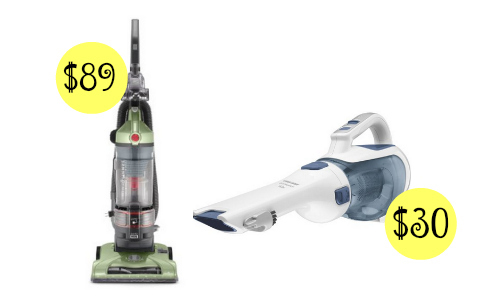 There are two great vacuum deals on Amazon today! You can get a Black & Decker Dustbuster for $29.99 or a Hoover WindTunnel Vacuum for $89. Warning: husbands be sure to check with your wife before buying her a vacuum for Christmas. I have this and love it. It is light, easy to use, and perfect for cleaning up small messes.